Walleyes don’t like soft-bodied horse leeches or medicine leeches. But ribbon leeches, which have firm bodies, make excellent bait. Another giant catch was described in Fishes and Fishing in Louisiana by James Gowanloch. In 1933, Captain Jay Gould of Hollywood, Florida captured a manta ray that measured 19 feet, 9 inches from wing-tip to wing-tip. 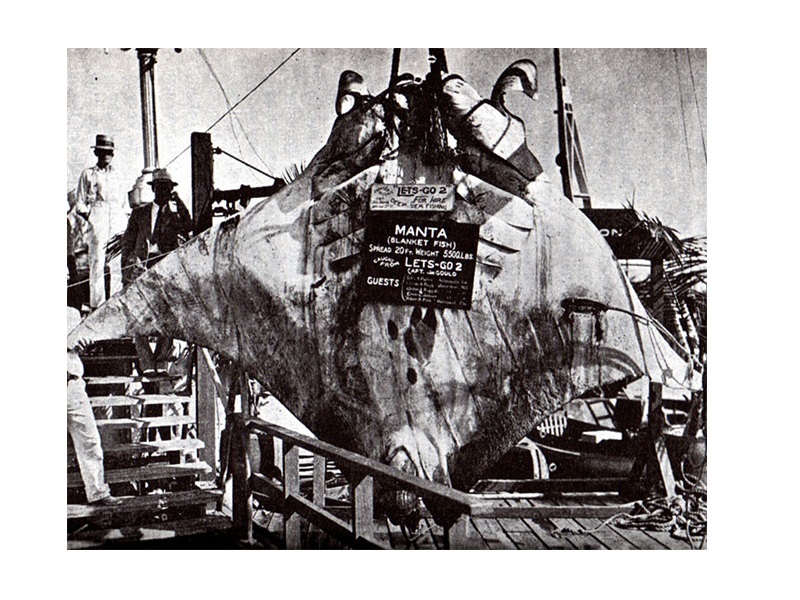 The ray was hooked on a large shark hook on 1,200 feet of 1/2-inch rope, and when it had been subdued and towed back to Ft. Lauderdale, Florida, the city’s 20-ton crane had to be used to lift the fish from the water, after the chain hoists on three smaller cranes were stripped while trying to bring it up. The manta ray’s weight was estimated at 5,500 pounds.